As we said goodbye to the West Coast yesterday and drove south toward warmer climates, I had to share one last look at what we left behind. Mt. Shasta rose magnificently above the clouds as we sped down the interstate. Love Mt. Shasta. Especially the unique cloud patterns that it often produces. Travel safe. 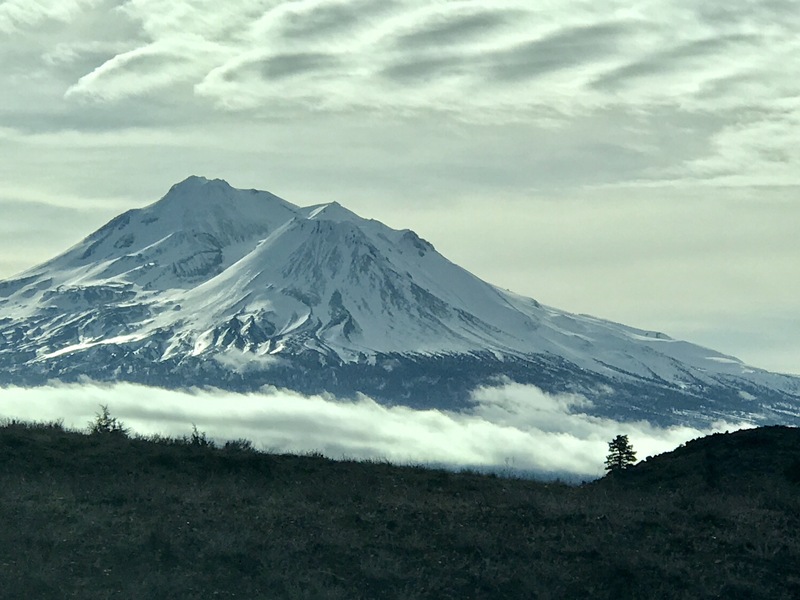 Awesome pic of Mt Shasta! So much fun to travel with you two by Blog! That is an awesome picture! Worthy of publication in s travel/nature magazine! Look forward to future posts! We really like your picture! Have fun! Thanks, Jeff. Nice to have you along for the ride! Hi to Lan.